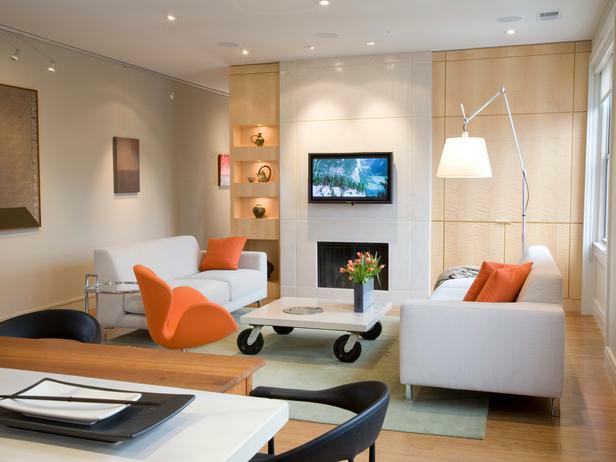 Please be sure to think about floor lamps as you consider how to add light to your rooms. Floor lamps add interesting design elements and provide a pleasing layer of light. In living rooms and family rooms you do not need a specific amount of illumination to perform tasks, you need layers of light to add interest and make the room feel inviting for friends and family.There are thousands of different styles of floor lamps from which to chose, something for every taste and situation. Please visit FoggLighting.con for more useful suggestions. We are here to help if you need it. Technical Explanation: The CRI is a unit that measures the ability of a light source to reproduce the colors of objects faithfully in comparison with an ideal source of light, or natural sources such as sunlight. 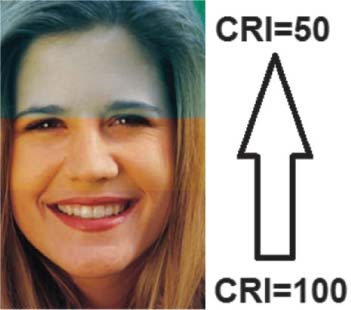 The CRI is a determined value ​​from 0 to 100, with 100 being the value “perfect” or daylight. Real World Explanation: The CRI determines how you and your surroundings appear to you and the other people in your environment. Here is an example of what is happening in the the world of lighting today and what will continue to happen in the foreseeable future. 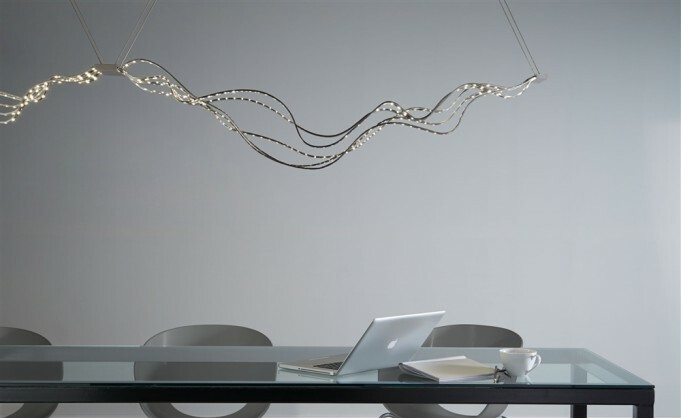 LED’s are all the rage and designers are finding all sorts of new ways to incorporate them into light fixtures. The reasons are clear: LED’s consume far less energy than incandescent light bulbs, LED’s are cool to the touch, LED’s have better color temperature than they did in the past, LED’s have a super long life, and LED’s are small so fixture design can be very creative. In addition to LED fixtures like this one, LED light bulb design is evolving very quickly also. Technicians are finding ways to make them more attractive and more like the good old fashioned incandescent light bulbs. Some of the new LED light bulbs even grow warmer in color temperature as they are dimmed, just like incandescent light bulbs do. Additionally, new, more efficient heat sink materials are being developed which allow LED light bulbs be more streamlined and closer in appearance to both A-lamps and candelabra bulbs. Pretty soon you will be able to use LED bulbs in chandeliers and not notice a difference between them and the candelabra bulbs they replace. Best of all, LED’s are becoming less expensive all the time as manufacturing becomes more efficient and more manufacturers enter the marketplace. As with anything though, I urge you to be careful when buying any LED product as there still are huge quality differences among the myriad of products and producers out there. Try to see the product before you buy it to make sure the color of the light is acceptable to you. I recommend buying dimmable LED light bulbs and fixtures – some LED’s are not dimmable. I also recommend caution in using dedicated LED recessed lighting fixtures. Once you install them they are in the ceiling a long time and the quality of the light might not be satisfactory for you. Instead, consider buying a regular recessed fixture and using an LED light bulb. That way you are not locked in. 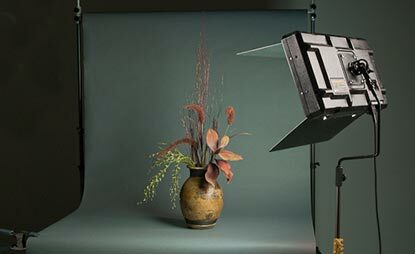 Please visit our website www.fogglighting.com and like us on Facebook. You also might be interested in the Underwriter’s Laboratory app, LightSmart, which can be downloaded from the App Store. It has all kinds of great information about lighting…and its free. 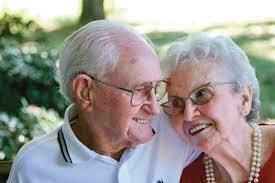 A Lighting Research Center study on lighting systems for Alzheimer’s patients could help an aging population.